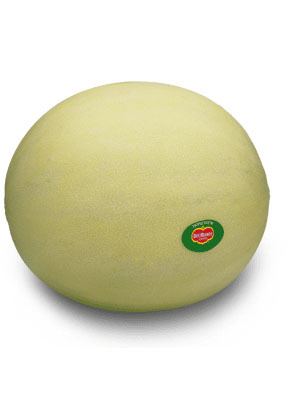 Honeydew...though I still think a Spaghetti Squash seems larger than a Honeydew. But whatever, I won't question the iPhone app. My mom and aunt had this tee shirt made for me...it says "Girl Kicking". And kick she does. A lot. Nope! 33 weeks and not a one! Wooo hoo!!! I spent the weekend with some girlfriends and it was fun for them to see and feel her move. This group of friends does not have kids yet, so it was particularly exciting for them to see and feel her moving. And kicking. And thrashing around in my belly. Another great moment...my sister asked me last night what the baby should call her. We have a VERY important Auntie in our life (and other wonderful Aunts too...but only one Auntie), my mom's twin sister, so this is actually an extremely important question. I'm pretty sure I thought my aunt's real name was Auntie until I was about 10 or 12. Therefore, choosing a name for my sister is crucial. I will leave this up to her. Whatever she chooses will be perfect, because she's going to be a darn good Aunt. The movements are changing from just little pokes and jabs to full blown shifts and squirms. She is a feisty one! Nothing special, still lots of fruit, veggies (except broccoli) and yogurt. Those seem to be my pregnancy staples. Seeing what she looks like (Jeremy and I look NOTHING alike, so I'm quite curious). Watching my parents become Grandparents (And hoping they learn that babies wear pants over onesies. Yes, my adorable mom asked what a baby wears over a onesie so they're not cold. I responded...pants. They wear pants. It's kindof unclear how my sister and I are still alive today). Watching Jeremy become a Dad. He's ready. I'm ready. These are going to be 7 long weeks until she arrives. Uh, many. Honestly, feel great, but of course have the regular aches and pains, my pelvic bone does not feel outstanding, my bladder has been danced upon for one too many days, my feet are swollen, etc...but really, I still feel great. I cannot complain. Auntie and I will take any suggestions you have on what we should each be called. Any ideas on what Franklette should call our amazing Auntie who will be like another grandma! Suggestions are welcome!! !